Luke 24:45 Then Jesus opened their minds so they could understand the Scriptures. Before God allowed me to know his presence in a big way, I had a really hard time reading the Bible. It just didn't make sense to me. And, it won’t make sense to you unless you know God. Once we have a deep relationship with the Lord, the Good Book comes alive. But it requires patience and diligence on our part. The words of the Bible didn't start jumping out at me automatically. It took a disciplined effort on my part to understand the heart of God and get to know Him before the book opened up for me. I searched the popular Bible stories. I started with the Gospel of John. I read the ‘how to read the Bible’ books and I did everything I knew to do…but it didn't open up overnight. I attended many Bible studies and that didn't really help. I listened to sermons; talked to people…I did all the ‘right’ things. It was only when God opened my eyes to read His words that I was able to understand the Bible. I use smart phone app versions, but I have a collection of paper Bibles that I keep around me and with me so I can read at a moment’s notice. I never know when the Holy Spirit will inspire me to read and write. 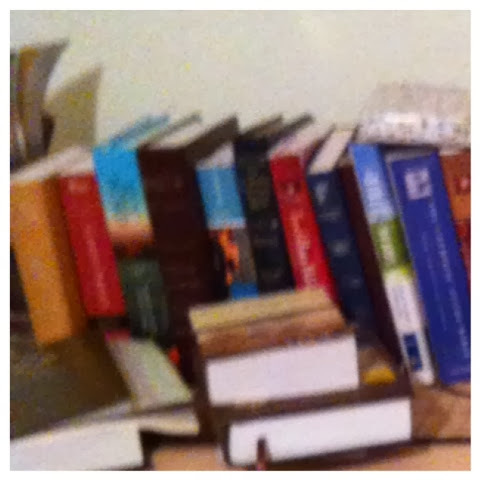 I’m also careful about the Christian books, sermons and writings that I read. The Lord gives us discernment to know when information is not the truth. Be careful. I no longer make Bible reading a goal each year because it’s a regular part of my spiritual life. If you want to go deeper with God, talk to Him. Go the extra mile to know his heart. Be careful with your spiritual formation. Don’t be satisfied with what people tell you or teach you. You want to be able to go to your Bible and read what God wants you to know. After all, He’s the author.